We have a dress-up box crammed full of costumes, mostly fairies, princesses and superheroes. Interestingly, the pieces that are the most fought over (errr… I mean ‘sought after’) are the less specific pieces – an old tartan waistcoat, a red woollen beret, a green felt cloche hat, and a bunch of large fabric squares that are sometimes scarves, sometimes skirts, sometimes capes. And it’s because of this motley collection of favourite dress-ups that I can see the brilliance in Fafu. Fafu is a small design company based in Iceland and their focus is on open-ended play, specifically through superb dress-ups. The Fafu collection includes hats, capes, cloaks and ponchos, large felt ‘feet’ (called Handys and that can also be worn on your hands) and silky scarves in sumptuous colours. A quick glance at each piece and you can guess how it might be worn but the beauty of these dress-ups is that kids will undoubtedly find lots of different ways to wear them. 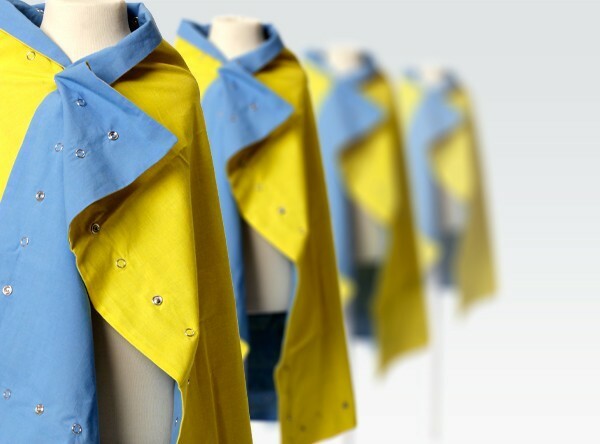 I love the Poppy capes – different colours on each side and a series of snap fasteners mean that kids can create sleeves, hoods, pockets or even ‘frills’ from the one cape. 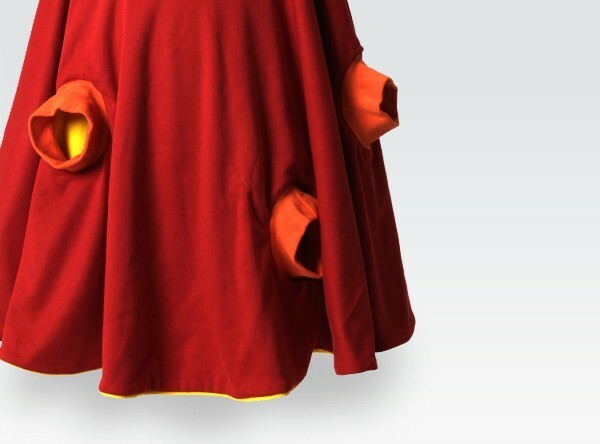 You can also join Poppy capes together – turn your cape into a tent! With a little imagination, every Fafu piece transforms – turn the Eary hat upside down and it’s a bucket; the Andy poncho becomes a skirt or a tablecloth or a handbag; and the fringed Silly skirts could be a lion’s mane or a king’s collar. Prices begin at €5 for a scarf. 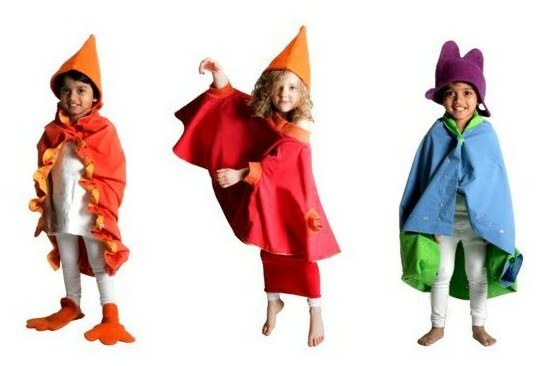 The Poppy cape is €32 and a starter pack with enough costume pieces to keep up to eight kids busy is €198. Fafu deliver worldwide.